A4IS is an Italian start-up privately owned company based in Milan area. A4IS operates in the field of producing dedicated manufacturing lines based on customers requests. More specifically A4IS has the expertees and know-how of RFID Passive Tags, being then able to customize, design and manufacture your line either is dedicated to High Frequency, Ultra High Frequency or Near Field Communication, or all of them in the same machine. From paper reel in to paper reel(s) out and adding RFID capability in between, in one single modular machine to suit customers cares at best. 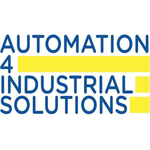 Just founded A4IS has already supplied the first machine to the first customer and, being well structured, is now ready to fly to several machines building up per year. A4IS task is to promote and sell its machines and services, such as trainings and after sales maintenance, to the industry of RFID tags and labels producers and converters. A4IS is also looking for partnering with distributors to enlarge its market presence in Europe, Northern & Southern America and Far East. A4IS tag Manufacturing lines brings in automation experties and RFID know how joint together. The products are customized lines to create RFID tags or labels which are used in several markets and applications, from retail to automotive and so on. The proposed technological solution grants the possibility to adopt almost all passive RFID chips available in the market. The use of antennas realized from solid but ultra-thin copper wire, allows for best in class performance, flexibility and high through put.